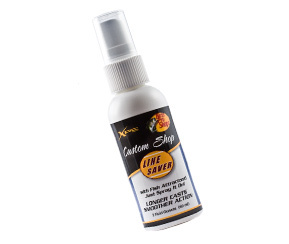 Bass Pro Shops claims that the XPS Line Saver Line Lube is the "world's best fishing line lubricant". Simply apply to your mono, fluorocarbon or braid and get increased casting distance. XPS Line Saver can also be used as a fish attractant spray.